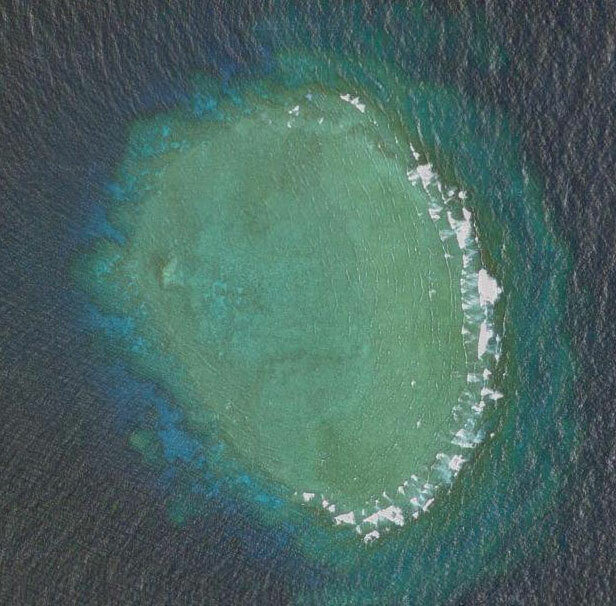 Pellowe reef is a small reef located close to the continental shelf 35 nautical miles east of Cairns. 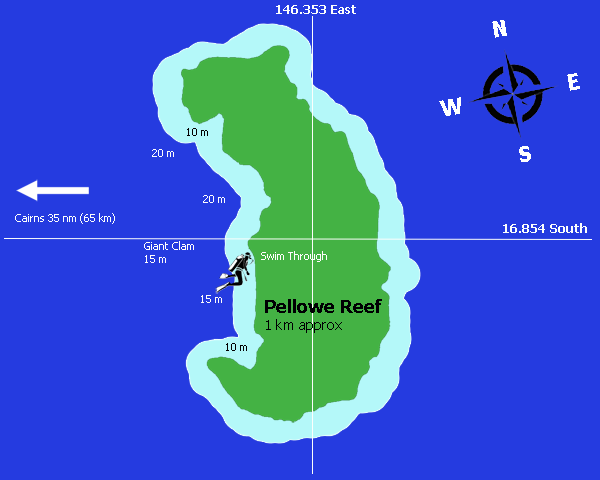 Certain tidal and weather conditions must be met before Pellowe can be dived. Strong currents can preclude diving at certain times of the year and for this reason diving Pellowe reef is regarded as a special treat. The underwater landscape and varieties of marine life make this dive both beautiful and exciting. Wall diving on the 30 metre drop-off and an amazing swim through are special features of this dive site. Moray eels, Octopus, Bull Ray and White Tip Sharks inhabit this reef while regular sightings of schools of chevron barracuda, numerous sea cucumbers and nudibranchs add to the diving enjoyment. In the shallows snorkelling is very interesting with scores of sea anenomes and clown fish to investigate and photograph. Marine Park moorings are located at the dive site to protect the coral on the reef. Vessels are never permitted to anchor on the reef.